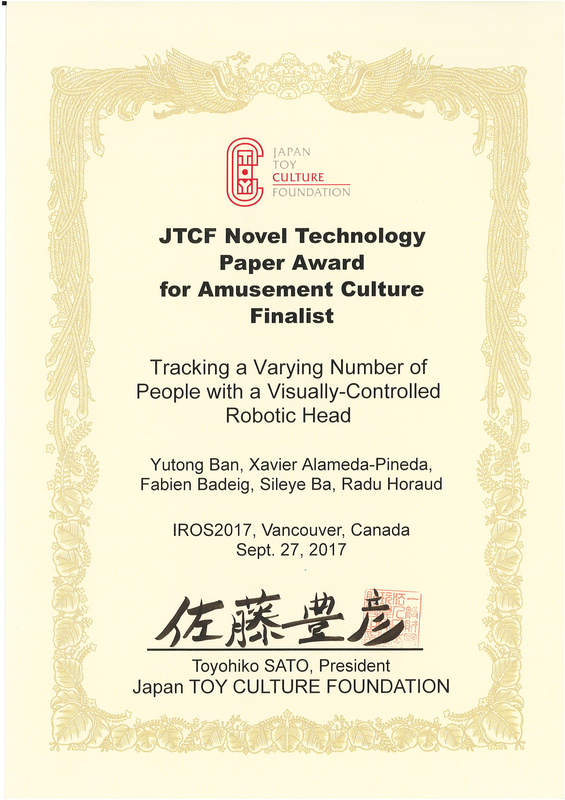 IEEE/RSJ IROS’17: Novel Technology Paper Award Finalist! 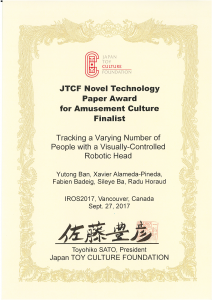 Yutong Ban (PhD student) and his co-authors, Xavier Alameda-Pineda, Fabien Badeig, and Radu Horaud, were among the five finalists of the “Novel Technology Paper Award for Amusement Culture” at the IEEE/RSJ International Conference on Intelligent Robots and Systems (IROS), Vancouver, Canada, September 2017, for their paper Tracking a Varying Number of People with a Visually-Controlled Robotic Head. 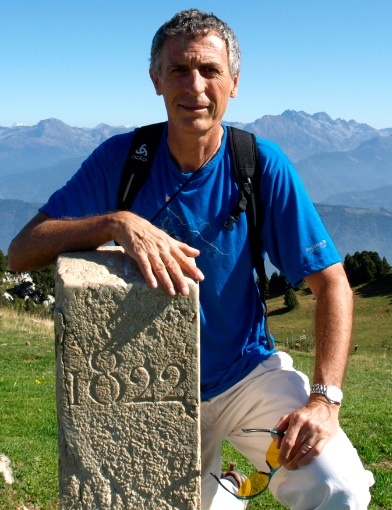 Please visit our research page.